Moving is no easy task, ask any one that has moved before and anyone who moves people for a living, it is just difficult. It is time consuming and it takes such a long time to find the perfect place, the packing, the transporting, the unpacking and now finding the best placement for your stuff in your new home. Living your life out of boxes is horrible, and the sooner than can be over and done with, the better. Here are a few ways to pack up your stuff like a pro! 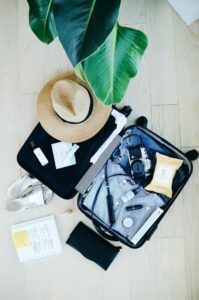 You should have a large bag that you’re able to keep you’re essentials (toothbrush, glasses and contact lenses, a change of clothes, hairbrush, etc.) in the bag that can easily be moved and carried around. Place the things that you will need first in a clearly marked container so you can find it later. Do not think that you will remember everything; label every box with what it is and where it goes so that you can unpack by room. Did you know that by packing your plates vertically in the box that they are less likely to break during the move? Well know you do! Take out the draws in dressers and nightstands, and covering them in a harder and more durable plastic so that you don’t have to unpack and repack them, and moving the actual structure will be easier than ever. Before you disconnect your electronics, take a picture and make a note of how things are connected so that you will not struggle later. Keep handing clothes in the hanger and wrap all the clothes together so it is easier to move them and place them in your new home. Make sure that everything is packed before the movers arrive, so that you can pack the vehicle and go. Make the moving process is a busy and stressful one, but a few tips and tricks let the process go slightly easier. To make your moving process easier, don’t hesitate to get in touch with Better Moves to help you during the stressful time of your move. Be sure to get in contact a few weeks ahead of the move to make sure that they will be available to help you.